Click here to visit the St. Ives facebook and like them. 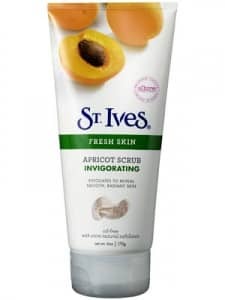 Then on the “St Ives” coupon tab, you’ll be able to score a coupon good for $1 off any St. Ives Apricot Scrub with no size restrictions. If you rather have the coupon mailed, just click the “Help” button on the lower right of the coupon page. my coupons would not print even after installing print program and now it says I printed it already. I clicked help, but I don’t see where you can mail the coupon. Really want this! Can’t wait!